In a major boost for the Victorian industry, Foxwedge will join Woodside Park’s stallion roster in 2019 after he was purchased by Eddie Hirsch. Woodside Park has secured the services of Foxwedge for its stallion roster in 2019 in a major coup for the Victorian breeding industry. The deal, secured with the assistance of Inglis, sees Victorian businessman Eddie Hirsch purchase the one-time champion second-season sire, who will make the move from Newgate. “He’s a proven sire of Group 1 winners and we think he can go from strength to strength in Victoria,” said James Price, Woodside Park’s General Manager, Commercial. He will stand alongside Woodside star Written Tycoon, as well as emerging trio Rich Enuff, Cable Bay (Ire) and Tosen Stardom (JPN). Hirsch praised the efforts of Inglis’ bloodstock consultant Mark Dodemaide, who had been working with him very closely to identify possible stallion acquisitions. “Mark Dodemaide and I have been on this horse since August with Inglis negotiating the sale. We thought he would be a perfect fit for Victoria and the VOBIS Scheme with his ability to get running two and three-year-olds,” he said. Hirsch has a considerable broodmare band based in Victoria and was pleased that one of Victoria’s leading farms would get to stand Foxwedge. Foxwedge has produced 35 stakes winners in his first four crops, including Group 1 winners in three countries in Foxplay (Australia), Volpe Veloce (NZ) and Urban Fox (GB). “Being ten years old and having stood seven years at stud, with his oldest being five-year-old’s, and with good books of mares to come, there’s great upside with this horse,” Price said. Foxwedge’s international credentials continued to build on the weekend with a double at Kenilworth in South Africa and a winner at Wolverhampton in the UK. Importantly for Woodside, it gives it further depth in a roster that continues to grow. With Written Tycoon’s service fee jumping to $100,000 (ex GST) last season, Price said there was room for an established sire at a different price point on the roster. The precise stallion fee will be revealed in the next couple of months. He stood for $20,000 (ex-GST) in his final season at Newgate. As a racehorse, Foxwedge won five of 13 starts and nearly $1 million in prizemoney, including the Group 1 William Reid S.
“He ticks all the boxes. 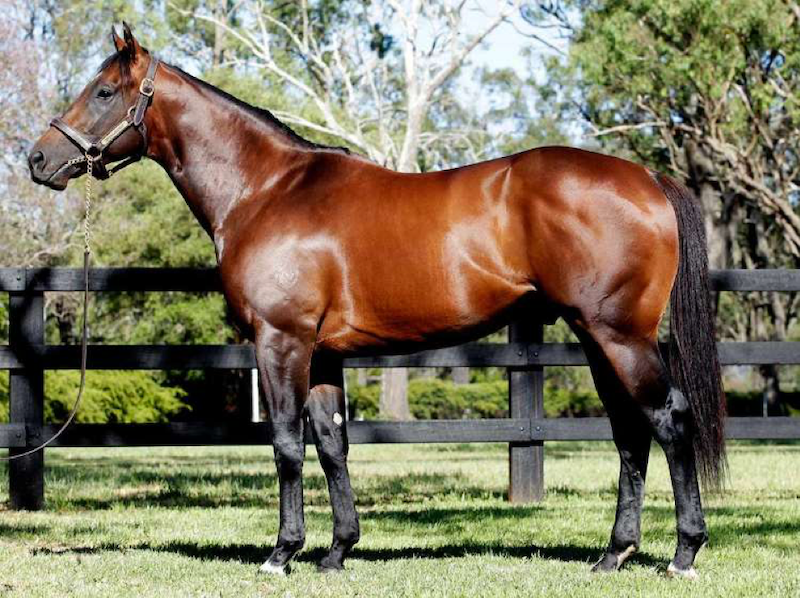 He is by champion sire Fastnet Rock, is a very good-looking horse being a $925,000 Inglis Easter yearling and great racehorse running early and fast beating Hay List and Buffering in a G1 at Moonee Valley,” Dodemaide said. He was the first stallion to stand at Newgate and after getting six winners with his first crop of 2-year-olds in 2015/16, burst to prominence the following year with 51 winners to claim Champion Second-Season Sire honours over the likes of So You Think (NZ) and Smart Missile. Foxwedge had 96 winners in 2017-18 and has had 50 winners so far in 2018-19.